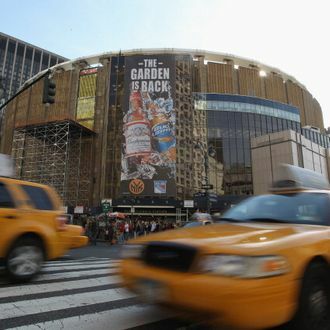 Madison Square Garden’s days above Penn Station became even more severely numbered on Wednesday, when the City Council voted almost unanimously to limit its term in the space to ten years. The city’s planning commission had voted in May to extend the Garden’s permit for another 15 years, provided it fixed up Penn Station. But the Council decided by a vote of 47 to 1 that a decade would be enough time to move the Garden and fix up Penn. “This is an opportunity to reimagine and redevelop Penn Station as a world-class transportation destination,” Speaker Christine Quinn said, per the New York Times. Then again, the paper pointed out, “anything can happen in the next 10 years, including several elections for mayor and governor.” And after all, we’ve already heard two different plans for the arena in the last three months.